H: 26cm (10.5 inches) W: 13cm (5 inches). 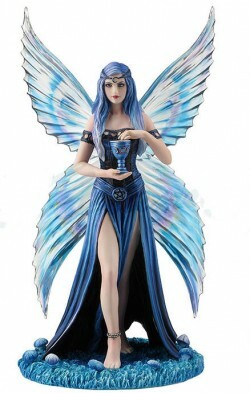 Very beautiful blue fairy design. She holds a goblet. Solid cast figurine with a production number fixed to the base for authenticity.